Just a few days ago, I made my Dresslily rainy wishlist. And by this time, I'll show you my very first haul from them. DressLily is a leading international online fashion clothing and accessory store. 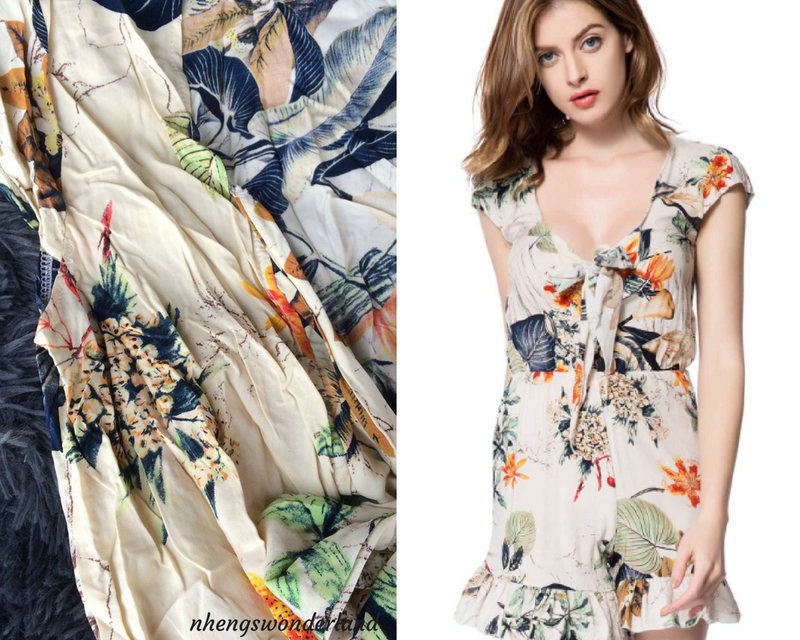 Focusing on the very latest in affordable fashion styles, both attire, and stunning accessories, they feature thousands of the newest product lines, providing maximum choice and convenience. They also aim to provide an extensive range of high quality, trendy fashion clothing together with a professional dedicated service to their valued customers from all over the world. My Dresslily haul is totally on point! Wanna know why? First, they delivered fast. I've had experienced waiting for my international packages for more than a month but with them, it takes at least 3 weeks. Another reason to love them is that I didn't pay any customs tax and they delivered right thru our doorstep. Now to my very first haul from Dresslily, I am very much excited to show you what I've got from them. I know I am a bit skeptical for sometime when it comes to ordering online as my previous one is just so-so but I am so happy that I tried Dresslily for the very first time. Let's check my haul. How cute are these owl bags? In line with the 6th anniversary of Dresslily, I got these cuties for Buy 1 Take 1 at $11.85 only! Such a steal right? I got one on black and one on purple. The purple one will be a gift to my niece for her upcoming birthday this September. I am into crochet-styled blouse nowadays even though it felt like I am already a tita on choosing a style like this. :D I can't accept the fact that my fashion sense is transitioning into something else (granny chic!). LOL! I loved this top as the fabric is soft and it is fresh to wear. 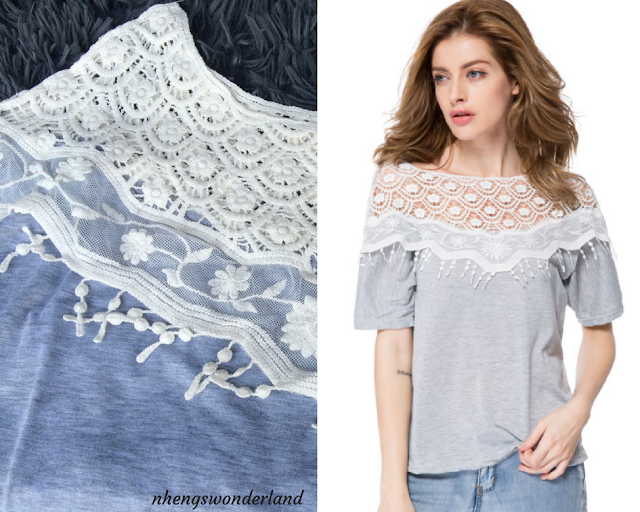 Another crochet-styles top is this long sleeve blouse. I really like this blouse as it can be worn on a casual or formal day. I am excited to wear it! I never thought that I'd be liking this cute romper in person. I was a bit worried that it will not fit me as romper's sizes online are always big for me even if the size is small. I will usually filter the sizes before choosing any clothing online. It is better if there is an XS size but there are only limited choices for this size. So I'll go after the small instead. This romper fits me really well especially the bottom part! I love it! Though I still need to wear an undergarment short to keep my bum from peeping. I don't usually like flower styled clothes but this one is an exception. It is really nice once you see it in person. I will have to update this post as soon as I have images of me wearing items that we got here. By far this is my favorite haul from an online shop as I love all the items I got here and will definitely wear all of them. Check more items from Dresslily, they have their new arrival and top fashionable women dress. It's time to refresh your wardrobe! DressLily prepares the best high-quality but low-priced products for you, make you free on all occasion for Monday to Friday. *Items are sent to me for FREE but all opinions are mine.